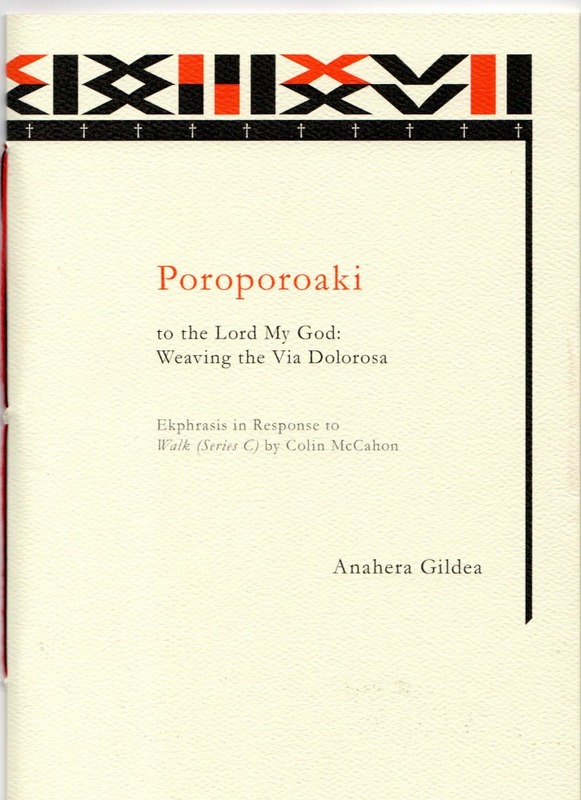 Poroporoaki is, as the subtitle suggests, a response to Colin McCahon’s paintings that are, in turn a response to the death of poet James K. Baxter. In this rich poem up-and-coming writer Anahera Gildea takes these threads and weaves them into a vivid Māori cultural context. The result is powerful, emotional and beautiful. 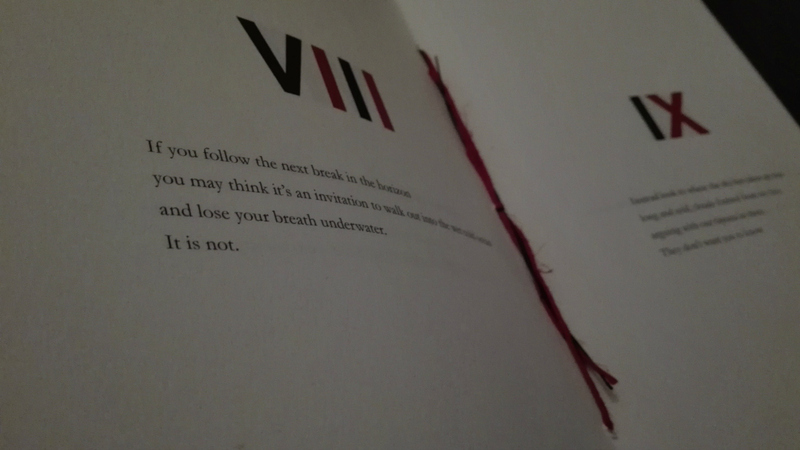 This exquisitely produced hand-bound book was first published in a limited first edition of 150 hand-numbered copies. The first edition has now sold out (though may still be available from some book shops, such as Unity Books) but a second, un-numbered edition is now available. The books are bound with hemp and flax-linen thread, and features a fly-leaf insert of hand-made harakeke (New Zealand flax) paper made by Pakohe Papers in Whanganui. Anahera Gildea (Ngāti Raukawa-ki-Te-Tonga, Kāi Tahu, Te Āti Awa, Ngāti Toa, Ngāi Te Rangi) is a Wellington-based writer who has had her poems and short stories published in a variety of journals. She recently completed the Masters of Creative Writing at Victoria University of Wellington and is currently finishing her first novel. ﻿﻿Pay by credit card or PayPal. Postage free within New Zealand. 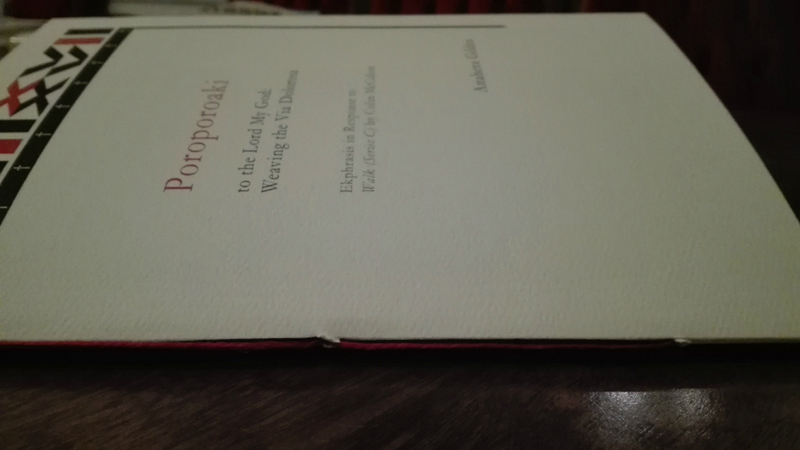 If you want to pay by direct credit, email contact@seraphpress.co.nz and we'll sort you out.